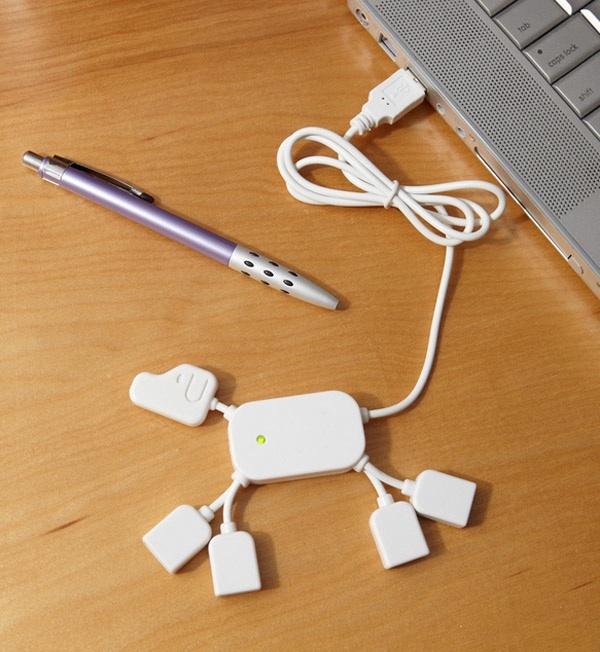 USB HubDog, a cute USB hub in the shape of a dog, available at Fred Flare. Outside of a dog, a computer is a man’s best friend. Inside of a dog… there are four USB ports! (Sorry, Groucho. We coudn’t help it!) Super cute and hi-tech and ready to connect up all your peripherals, this USB HubDog is totally prepared to be your new buddy. Sleek white color with a green light to let you know it’s connected. Measures 4″x4.25″x.25 for super portability!